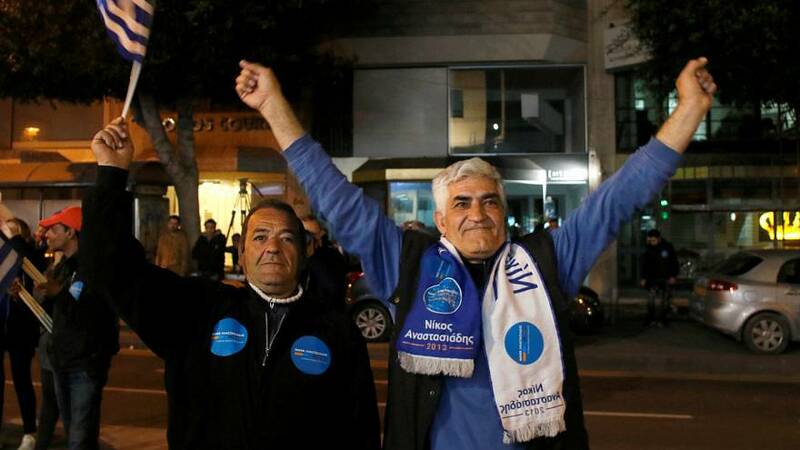 Cypriot President Nicos Anastasiades has swept aside his challenger Stavros Malas in the election run-off winning up to 55 percent of the vote. Exit polls conducted by Cypriot television stations showed Malas, who is backed by the Communist AKEL party, registering up to 47 percent. According to state television, Malas has called the president to congratulate him on his victory. Anastasiades, 71, has taken credit for steering the Cypriot economy to recovery after it was plunged into crisis in 2013 from its exposure to debt-wracked Greece and fiscal slippage under a former left-wing administration. Cyprus emerged from a bailout programme from the European Union and the International Monetary Fund in 2016. The bailout included recapitalising Cypriot banks through seizing uninsured deposits, a so-called 'bail-in' which was the first time it was implemented in the euro zone. The veteran conservative was catapulted into the spotlight to handling that crisis days after winning the Cypriot election in February 2013. As leader of the divided island's Greek Cypriot community, he also oversaw peace talks with estranged Turkish Cypriots. Cyprus was split in a Turkish invasion in 1974 after a brief Greek-inspired coup, and the EU member state hosts one of the world's longest serving peacekeeping forces with Greek Cypriots in the south, and Turkish Cypriots in the north. Peace talks collapsed last year over the role that Turkey could play in a post-settlement Cyprus.